There has been an increase of over 145,000 (7.7%) in the number of people with health insurance in the last two years. At the end of 2016, almost 2.2 million people had private health insurance in Ireland. This is equivalent to 45% of the population. This note considers the cost of claims paid per insured life of those with open membership insurance (2 million). Open membership insurance guarantees the right to buy health insurance irrespective of age or claims history. The number of people with health insurance has been increasing in recent years. See Figure 1. Figure 1 shows that the number of persons with open enrolment insurance has increased since its low point in 2015 of 1.89m. There were almost 73,000 or 3.7% less people insured in 2015 relative to 2013. Since 2015, there has been an increase of over 145,000 (7.7%) people with health insurance up to January 2017. The average premium cost €1,177 in 2016 – an increase of €242 or a quarter since 2011. 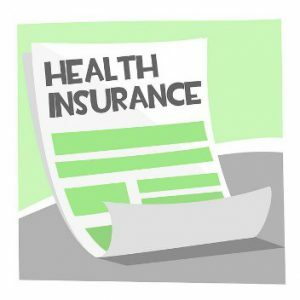 What Age Groups have Health Insurance? Table 1 shows the number of those insured as of the 1st January in 2015, 2016 and 2017 across eight age groups. Table 1 shows that the overall number insured increased by 145,000 or 7.7% between the start of 2015 and 2017. The rate of increase was lower in the period from 2016 to 2017 with an increase of 41,000 or 2.0%. The two largest percentage increases in the numbers insured between 2015 and 2017 were among those aged 80 years and above (14.8%) and those aged 70-79 years (12.6%). There was a substantial increase in the numbers insured aged 30-39 and 40-49 between 2015 and 2016. The numbers insured in these age groups increased by over 16,000 (5.7%) and 29,000 (9.9%) respectively. This is likely to have been influenced by the introduction of a Lifetime Community Rating on those aged 35 years and over. From the 1 May 2015, if you are purchasing a private health insurance policy for the first time at age 35 years or older you will pay a 2% loading on top of your premium for every year you are aged over 34. As of 1 January 2017, there were just over 15,000 persons paying loadings on their insurance policies (0.7% of insured population). As a result of an increasing older population, as a share of all those insured, those aged 60 years and over have increased from 17.9% in 2012 to 21.3% in 2017. The equivalent shares for those aged 18 to 29 years have decreased over the same period from 29.1% to 25.0% respectively. The average cost of claims paid per insured life between 2011 and 2016 are shown by age cohort in table 2. The above table highlights that those aged 80 years and above experienced the largest increase in insurance claims in both absolute (€1,745) and percentage (52%) terms between 2011 and 2016. However, average claims for this cohort remained the same in 2016 relative to 2015. Those aged 60 years and over account for 21% of those insured, but make up approximately 70% of claims paid. The number of persons aged 65 years and above increased by over 100,000 or 19% between Census 2011 and 2016 to almost 638,000. These health insurance claims costs reflect this growth in the older population. 1 Figure 1 shows the number of insured persons with open enrolment undertakings as of 1st January each year (excluding those serving initial waiting periods).